Christian was the first song by the Liverpudlian band to break into the UK Top 40, reaching No.12 during January 1983. 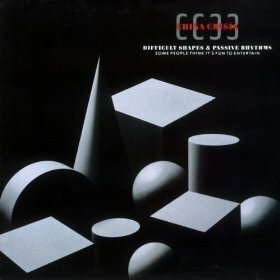 It was lifted from their debut album Difficult Shapes & Passive Rhythms, Some People Think It's Fun to Entertain - which gave album chart compilers a headache - and peaked at #21 in the UK album charts and gained Silver status. 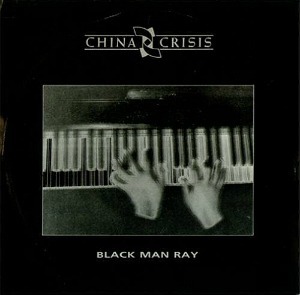 Black Man Ray was lifted from the English Band's third studio album Flaunt The Imperfection, and was one of four singles to break into the UK Top 20, reaching #14 in March 1985. The other singles were; Christian (#12), Wishful Thinking (#9) and King In A Catholic Style (#19). China Crisis are one of those bands that I never became a fan of until after the 80s. I guess the quality bands kind of pass you by until your brain matures after your teen years. I must've missed out on some really great songs back then, but at least I caught up with them, eventually! The English post-punk/new-wave band formed in Kirkby in 1979. They released six studio albums between 1982 and 1994. However, the band were only successful during a short period in the first half of the 1980s, with only the first three albums breaking into the Top 40 album charts. The release of the fourth album, What Price Paradise, (released in 1986) failed to break into the Top 40 album charts, as did the following two albums. Flaunt The Imperfection was the band's most successful album, reaching #9 and achieving Gold. It was a very polished album with a sophisticated 80s sound. There was less use of the synthesizer than on the previous album (that may have been part of their downfall), but every song was strong on melody and well-constructed. It's ironic that such a perfect album should be titled Flaunt The Imperfection, as there weren't many to find and maybe it was all just a little too perfect. Having said that, if you like a highly polished production then this will be right up your street.